A tea bag caddy is a miniature-sized dish designed to carry and/or hold a used tea bag. Tea drinkers often prefer to use this inconspicuous table accessory rather than placing a wet tea bag on a nearby napkin, spoon, or saucer. Although used more frequently in Europe and Asia, there is growing interest in the United States for the use of tea caddies, as tea consumption continues to increase across the country. You can find caddies in all shapes, colors, patterns and sizes such as oval, round, octagonal, square or rectangular. They also come in fun, whimsical shapes such as animals, teapots, leaves, and flowers. Made of porcelain, pewter, metal, ceramic, fine wood, and bone china, caddies are heat resistant and often a favorite table accessory for tea drinkers. Caddies are typically inexpensive and can be purchased at department stores, tea shops, and from a myriad of tea-related websites. A set of attractive tea caddies makes a thoughtful gift for friends and family who enjoy drinking tea and serving it to others. Caddies make excellent wedding favors and gift items for afternoon tea events. 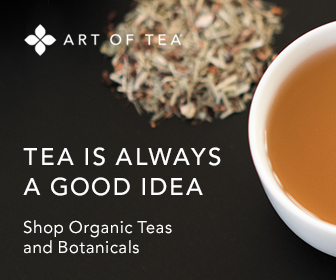 You also may want to consider including a set of caddies, as part of a tea-themed tea gift basket. Your basket could include a variety of tea blends, attractive tea cups, honey, candy, and other sweet treats.